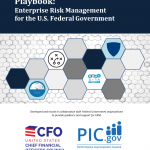 10 April 2019 – In July 2016, the Chief Financial Officers Council (CFOC) and the Performance Improvement Council (PIC) released the Playbook: Enterprise Risk Management (ERM) for the U.S. Federal Government (Playbook). Access to this resource has been added to the PM World Library (PMWL). The Playbook guidance and accompanying appendices are tools designed to help U.S. government departments and agencies meet the requirements of the revised Office of Management and Budget Circular A-123. They are also designed to provide high-level key concepts for consideration when establishing a comprehensive and effective enterprise risk management (ERM) program. The Playbook specifically addresses the additional requirements included in Section II in A-123, which defines management’s responsibilities related to ERM, to help departments and agencies make better decisions based on a more holistic view of risks and their interdependencies. 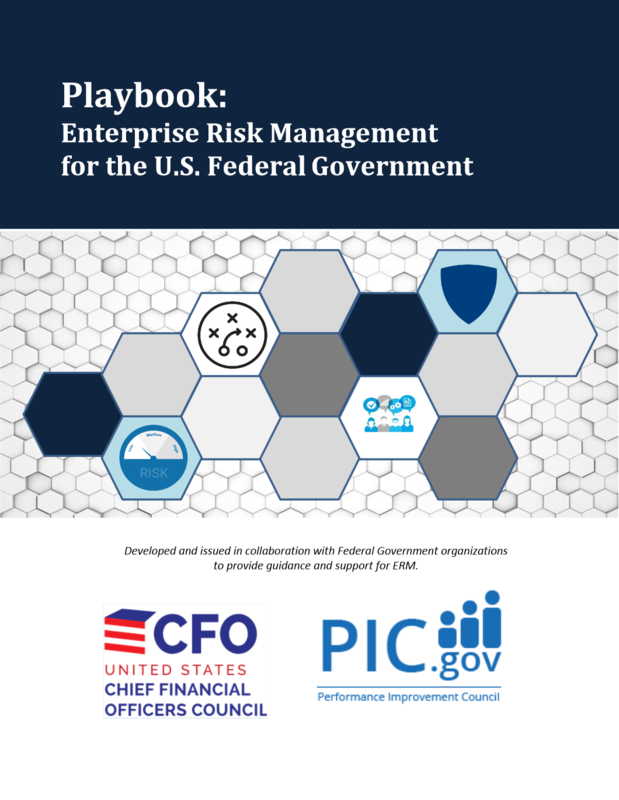 The Playbook is the result of an interagency effort convened by the Office of Executive Councils and included risk practitioners and cross function representation from more than twenty federal agencies to gather, define, and illustrate practices in applying ERM in the Federal context. The final document and subsequent versions will be posted to the CFOC and PIC websites. To access this report, go to http://pmworldlibrary.net/public-ppm-resources/, click on “USA Agencies and Organizations”, proceed to “US Federal Government Organizations”, click on “CFO Council”. Must be a trial or full member and logged-in to access.